Lamborghini typically offers two body-styles of each of its models – coupe and convertible versions of the current Huracan and Aventador. The Urus has been the standout exception, offered in just the one form factor. But that's about to change. The Raging Bull marque today confirmed production plans for the Urus SUT, which will ditch the crossover's wagon roofline in favor of a pickup bed at the back. The move is expected to broaden the model's appeal to those who'd sooner transport their cargo under the open air than in the enclosed cargo compartment currently offered. It won't be the first time Lamborghini will offer a pickup, after all. The "Rambo Lambo” to which Williamson refers incorporated a short bed behind its four-door cab. 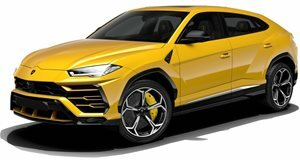 It remains to be seen whether the Urus SUT (shorthand for Sport Utility Truck) will retain its four doors or ditch the rear seats in favor of a longer bed. Expect the SUT to carry over the 4.0-liter twin-turbo V8 from the standard Urus. However sources tell us that ties between the Volkswagen Group and Ford could enable Lamborghini to adopt the 6.7-liter Power Stroke diesel from the F-Series Super Duty. Expect further details to be announced later this month at the Austin Auto Show in the state capital of Texas, the world's largest market for pickup trucks.